It feels good to get something completed. I love the days I can end a workday on a the completion of a solid task. Technology jobs produce a lot of digital work products, but you don’t always get the sensation of finishing something that matters and having something to show for your work. Just because you can’t hold it in your hand does not mean it’s useless. It feels good to be useful. 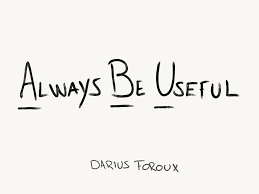 I just read a post on Medium from Darius Foroux called The Purpose of Life is Not Happiness: It’s Usefulness. Darius makes a powerful statement we should all keep in mind; “Don’t take it too seriously. Don’t overthink it. Just DO something that’s useful.”. This is excellent advice in technology and security work. The questions and challenges are hard. Just jump in and get started. Each day we iterate on the last until we reach a place where we can look back and say; “I did a bunch of little things that mattered. I am making a difference.”. Tomorrow, go out and do something. It will make a difference: no matter who sees it, no matter what it is, no matter what happens to it in the future. 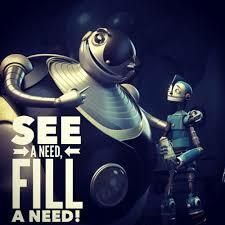 Keep looking for opportunities to make something that fills a need. 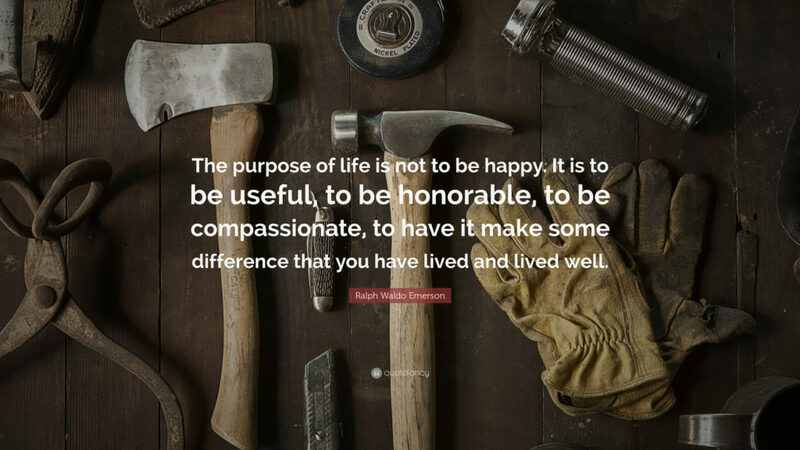 In usefulness, there is happiness.